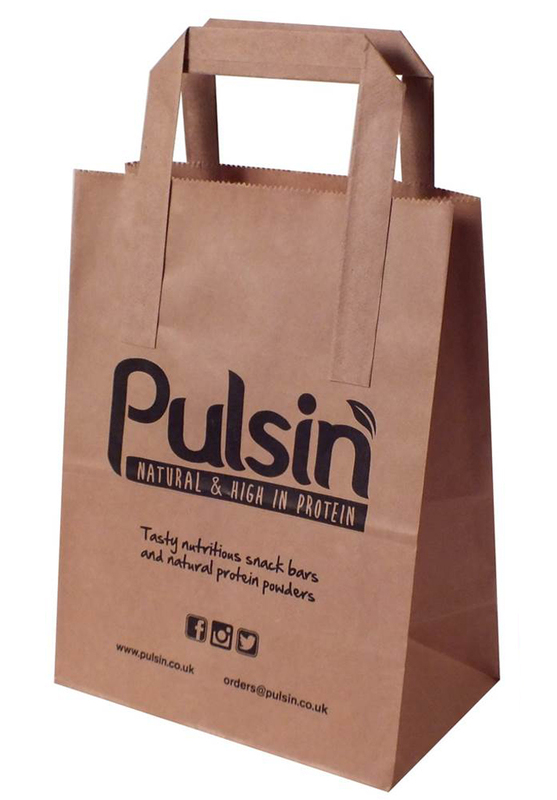 So if you believe in authentic British products and want to support British manufacturing, why not put your products in a British made bag? For further information about British made brands and UK manufacturing, take a look at the Make it British website www.makeitbritish.co.uk. 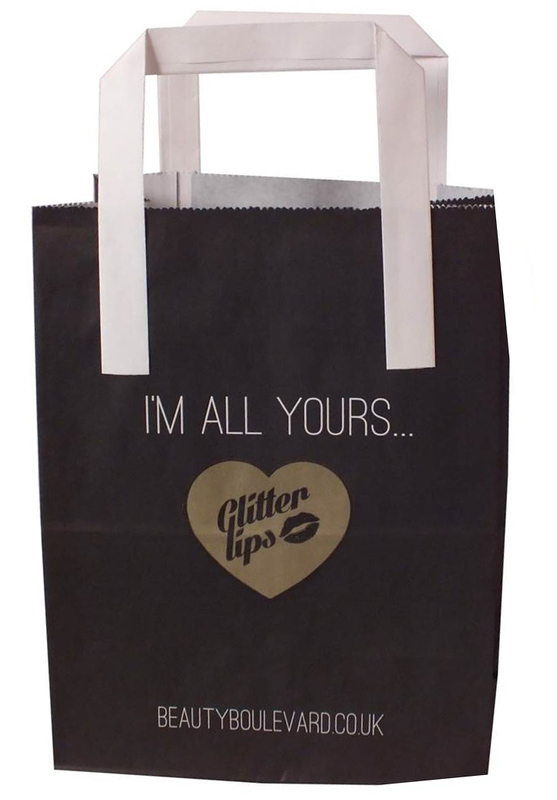 If you would like a quotation, and know the number and type of bags required, colours to be printed and on how many sides, please complete the Request a Quote form and we will get back to you asap. 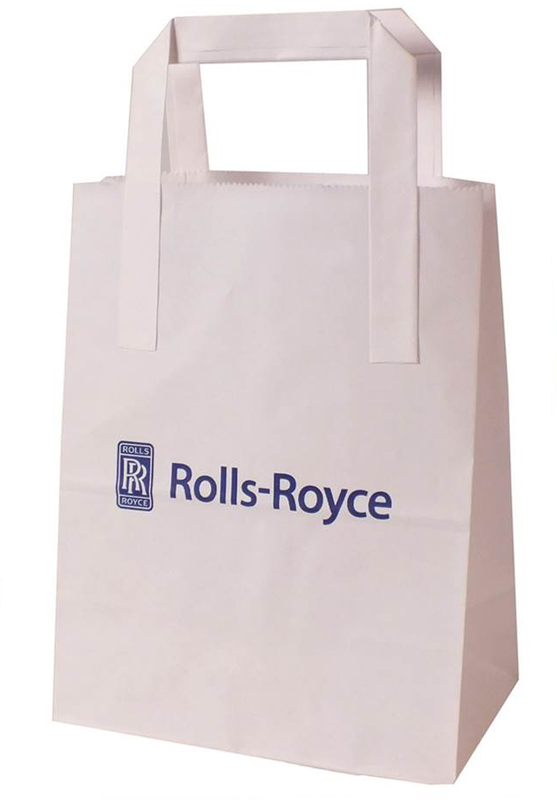 Bag Type: * I am unsure of what bags I need.General Paper Bags.Twisted Handle Paper Bags.Flat Tape Handle Paper Bags.Paper Grab Bags.General Polythene (Plastic) Bags.Duffle Bags.Flexi-Loop Bags.Patch Handle Bags.Polythene Party Bags.Printed Mailing Bags.I have a non bag related enquiry. Send me a copy of this enquiry for my records. 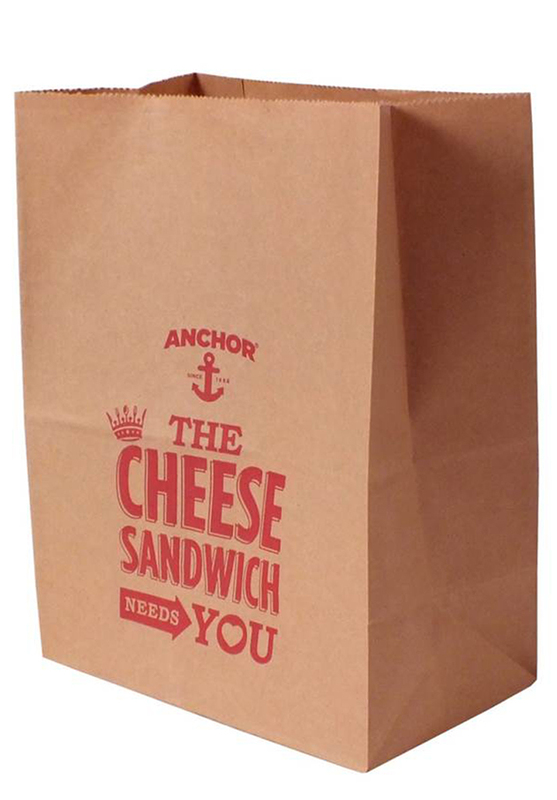 Flat tape handle custom printed paper bags are widely used as takeaway bags in food outlets and as small gift bags for retailers. 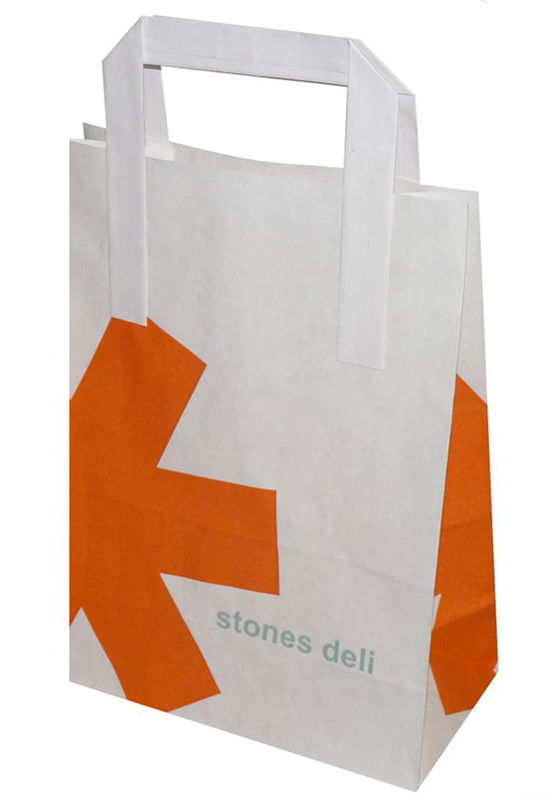 They are the perfect solution for a sturdy, excellent value, bag. 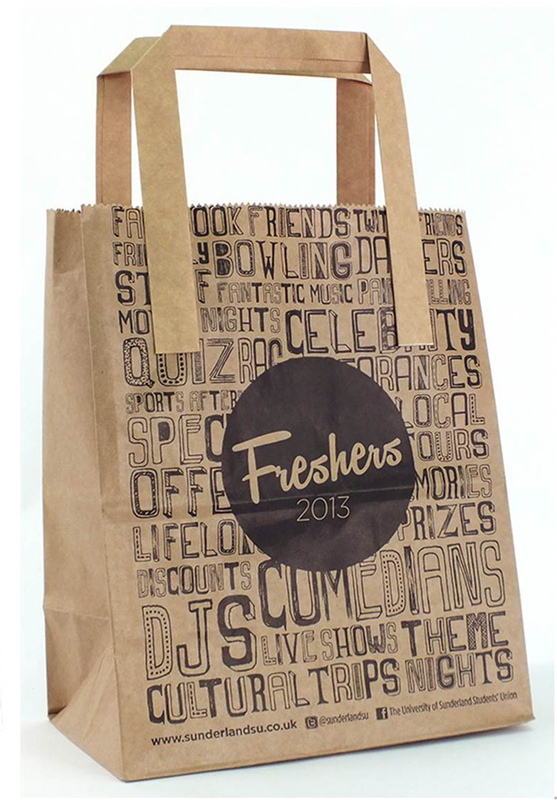 You’ll be happy to know that these bags are exempt from the 5p bag tax. 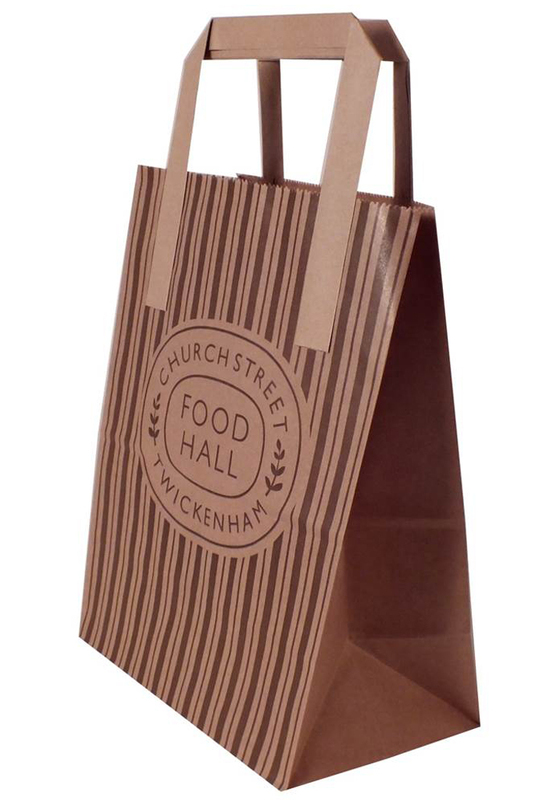 Ethically sourced, FSC certified, 80gsm kraft paper. Available in white or natural brown. 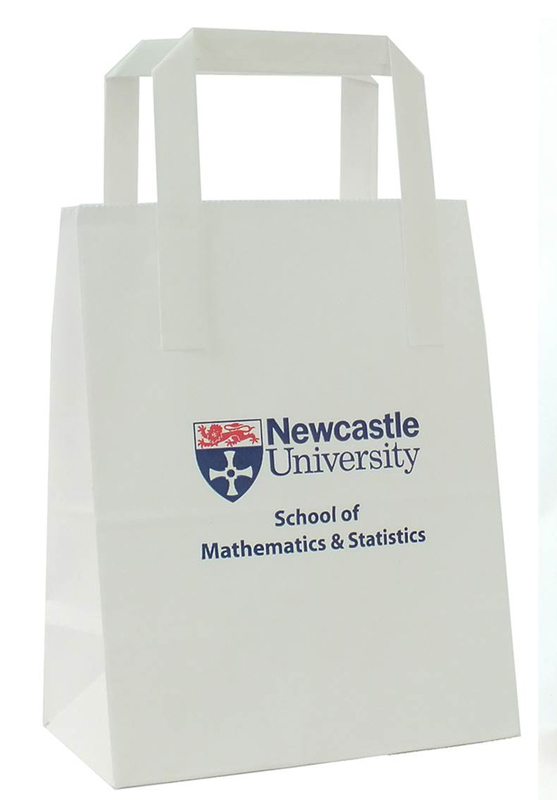 We can make coloured bags by flood printing them. 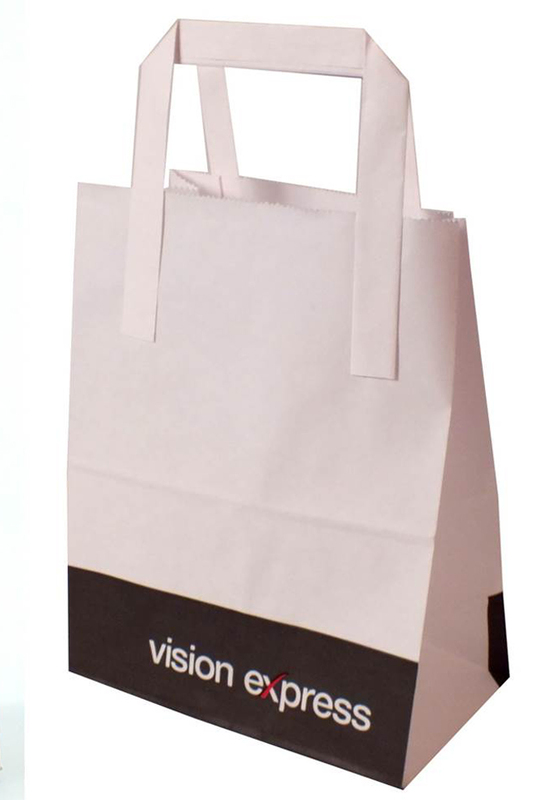 Spot printing with up to 6 spot pantone colours and up to 100% ink coverage. Also available plain (no print). 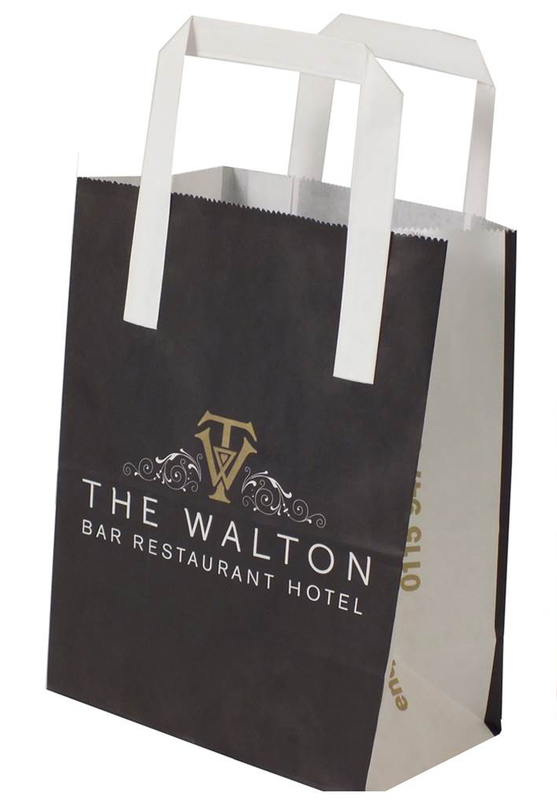 Need your flat tape handle paper bags last minute? We’re always happy to try and help. For a small surcharge, we can offer a quicker turnaround. 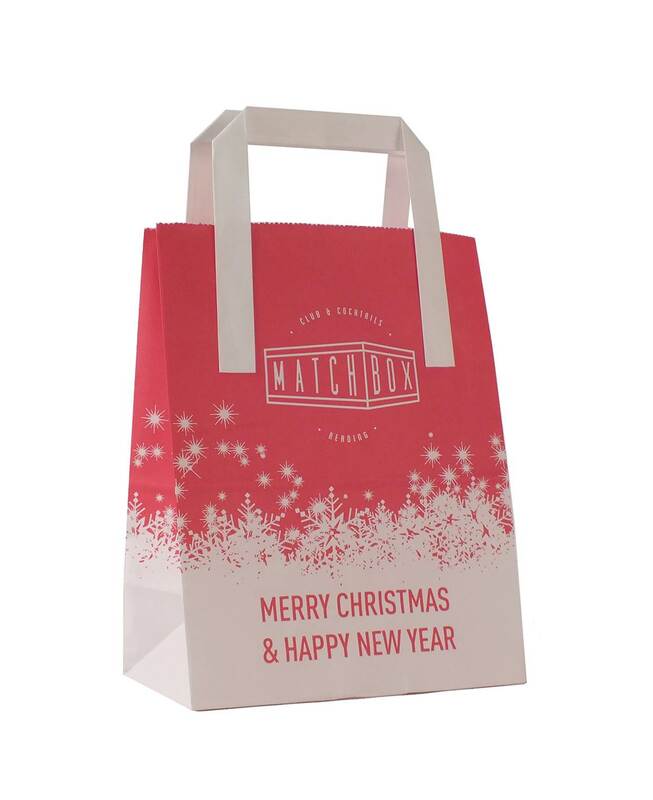 Free delivery is included to 1 standard mainland UK address. Offshore delivery within the UK and Ireland is available at an additional charge. We are more than happy to arrange deliveries to Europe too. 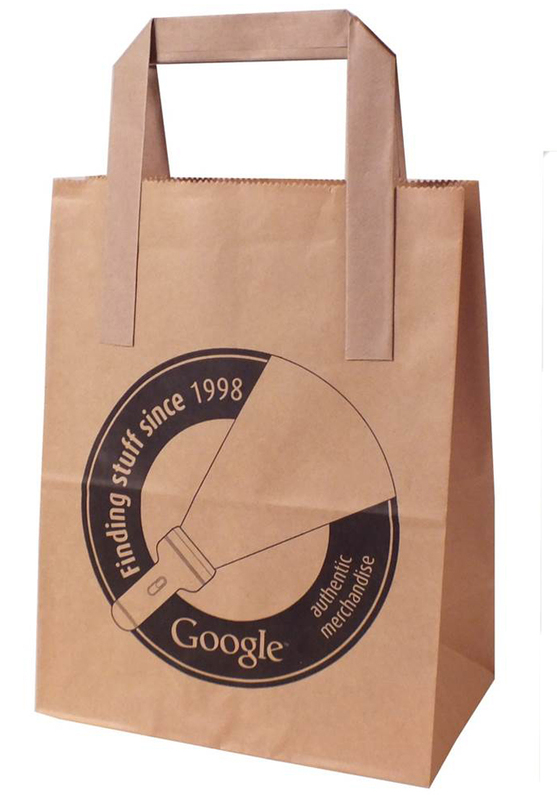 If you'd like to obtain a quote for a carrier bag of your own click here to get a quotation.